How can Windows empower every person and every organization on the planet to achieve more? Our ongoing mission is behind a feature that Windows Insiders voted as one of their top 10 favorites: Eye Control. While Eye Control was first released in-box during the Fall Creators Update, it’s seen some great improvements with the April 2018 Update. 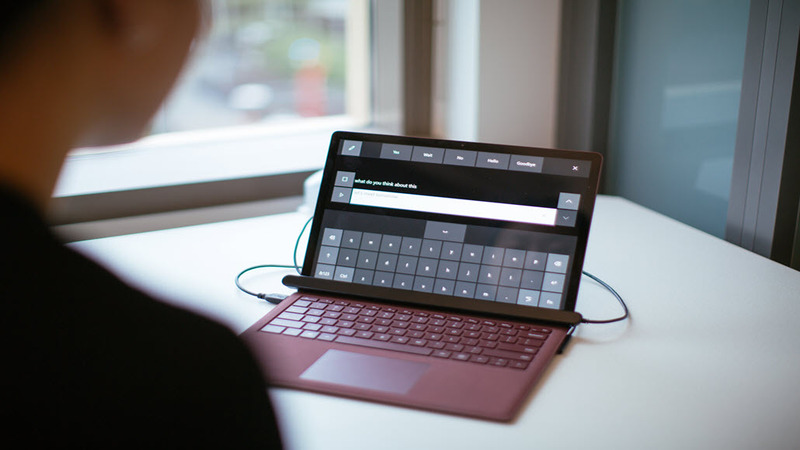 We sat down with Microsoft engineer Jake Cohen to get the story behind the accessibility feature that enables users to control Windows with their eyes and the help of a compatible eye-tracking device (such as Tobii and EyeTech). The Windows team started on the road to developing Eye Control during the 2014 Microsoft company-wide hackathon, when Steve Gleason, an NFL football player who had played with the New Orleans Saints, emailed Microsoft with a challenge. Living with ALS, Steve wanted to spark technology that could help people with ALS and that would help him communicate more easily, play with his son, and move his wheelchair independently. Since the hackathon, Microsoft has been working closely with Team Gleason, the nonprofit foundation founded by Steve, to develop technologies that will empower people living with ALS. Continuing this work, the Windows team has been steadily implementing built-in eye tracking to Windows 10. With a compatible device, Eye Control leverages infrared lighting and cameras to detect where a user’s eyes are looking relative to the screen. Windows takes that information and enables a user to control a mouse or keyboard. What’s in store for the future of Eye Control? Jake’s team is continuing to work with Microsoft Research and Team Gleason to collect feedback from the ALS community and make Eye Control even more useful. Jake also mentioned that sparking more third-party tools is a priority for the team. “The next step we’re taking is releasing public developer APIs and open-source libraries to allow third-party developers to build apps and experiences that can leverage eye tracking,” Jake said.